With the launch of the Spanish Armada in 1588, England suffered its greatest threat since the Norman invasion some 500 years before. The Spanish King, Philip II had devised a complex plan where by the armada would sail up the English Channel, pick up the Spanish Army of Flanders on the French coast and ferry them across to England. 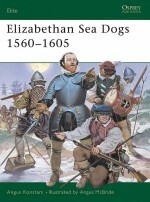 In response, Elizabeth I launched her fleet of Sea Dogs to counter the threat. 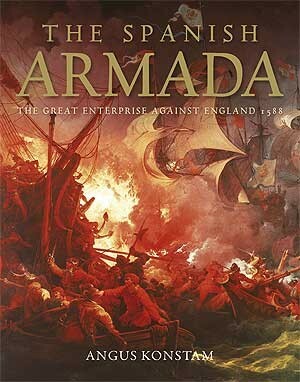 Led by colorful characters like Sir Francis Drake, the English surprised the Spanish Armada at its anchorage at Gravelines, preventing their rendezvous and forcing a full retreat. 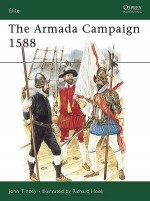 Naval expert Angus Konstam details the background to the campaign, the opposing fleets, and the whole campaign, including the Armada's disastrous return voyage around Scotland and Ireland that became one of the most tragic episodes in maritime history. 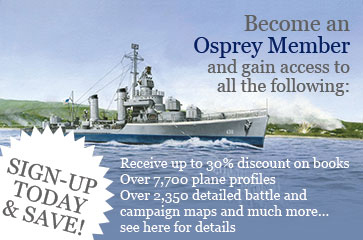 Fully illustrated with photographs, maps and artwork, this book is an action-packed account of one of the best known naval campaigns in world history.